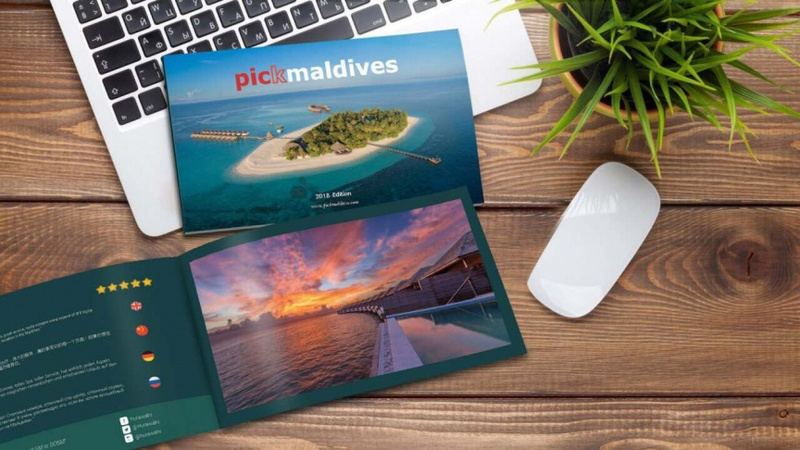 The photobook by the Pick Maldives initiative – a business which markets and promotes Maldivian tourism using creating and innovative methods – was released at the world’s leading travel trade show – ITB Berlin – on March 8. 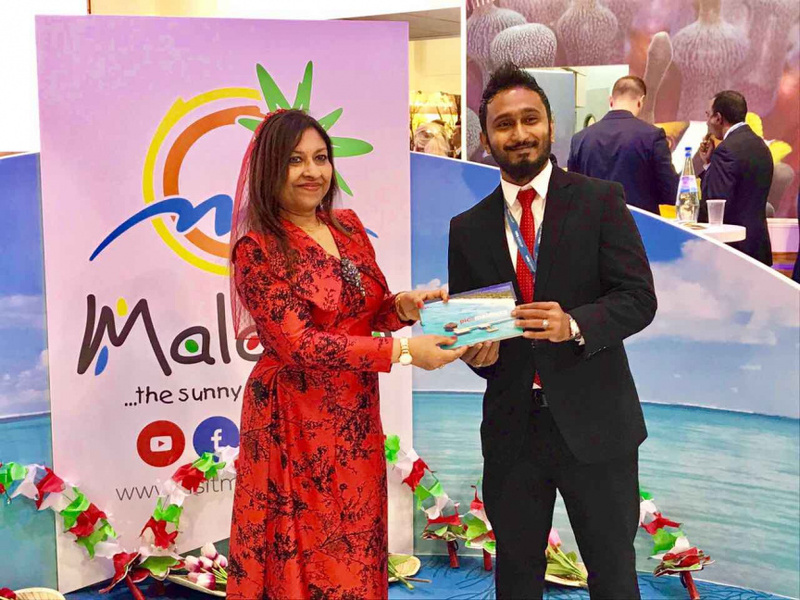 The Pick Maldives Picture Storybook was released at the ITB Berlin by Maldivian Ambassador to Germany, Jameela Ali Khalid. Praising the photobook – which promotes Maldives as a tourist destination directly to potential tourists using the B2C (Business to Customer) marketing model, Ambassador Jameela expressed delight at such an initiative being spearheaded by a youth. Jameela said she was proud to release the first edition of the Pick Maldives Picture Storybook. Speaking in an interview to “Sun” from Berlin, founder of the Pick Maldives initiative, Riaayath Abdul Majeed said he was happy to have the product released by such a talented and respected woman as Ambassador Jameel, coincidently on the International Women’s Day. Riaayath said he was proud to release the product in the world’s leading travel trade show. Riaayath said he received huge praise for the photobook’s concept from the ITB Berlin. He thanked all partners who supported in the production and release of the photobook, all parties which featured in the photobook, and everyone who worked hard to release the photobook for their contribution. “The success of the photobook shows everyone wants to market our beautiful Maldives using unique approaches,” said Riaayath. He said the souvenir-quality photobook will be distributed to over 2,000 influential international travel bloggers, influential social media users, VIP travel journalists and celebrities in early April. The photobooks will be couriered to them by DHL – the world’s leading logistics company. In addition, photobooks will also be distributed at international travel fairs open to the public; and via Pick Maldives ambassadors selected from 20 countries worldwide.